My work with illustration – Botanical and Fauna Illustration uses a very fine Rotring pen and ink. 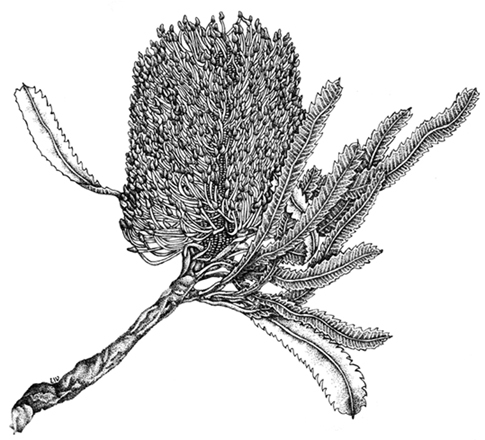 The drawing should be botanically correct which is a challenge in itself – preferably working from real specimens. The image is made by slowly building up the surface image is made up of a series of very small dots and lines using a very fine nibbed rotring pen. This was the final set drawing for the short botanical illustration course. 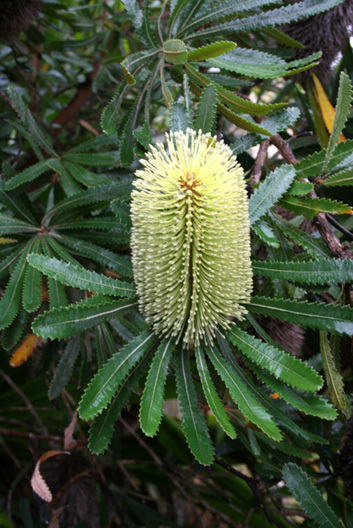 It is Banksia serrata – Saw banksia – or ‘Old Man Banksia’. The challenge now is to try a variety of subjects in this illustrative style and improve my skill in this area.